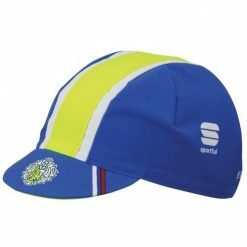 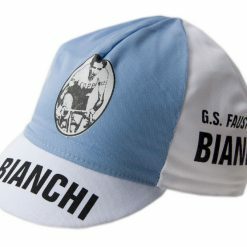 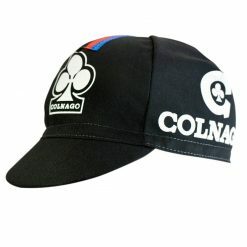 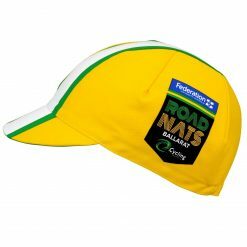 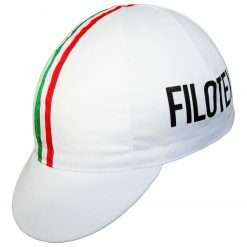 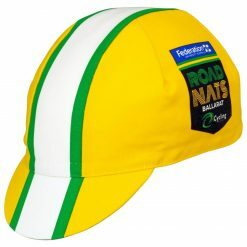 The cap of the famous Colnago brand. 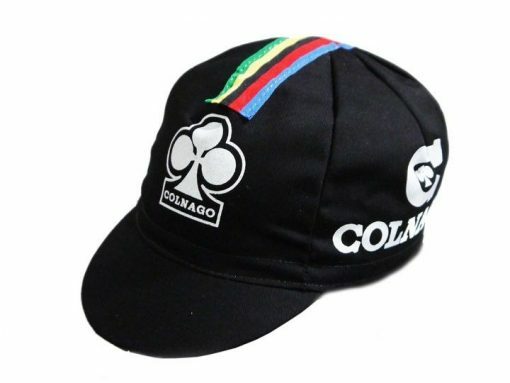 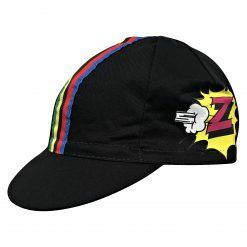 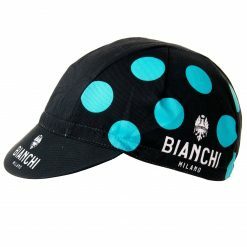 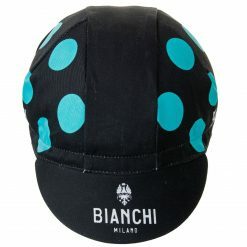 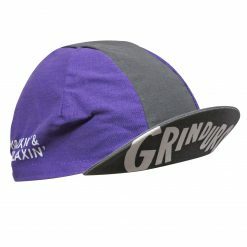 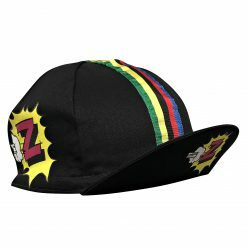 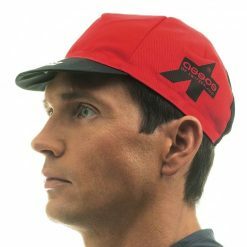 This Colnago cap is all black with the world champion stripes ribbon down the cap. 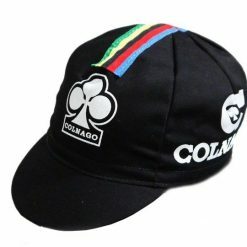 The Colnago logo is prominent and the words “Cicli” and “Colnago” are featured under the peak. 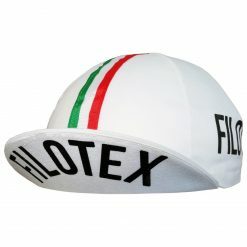 Made in Italy – where else?